Impressive item for your bathroom get a complete vanity set in one small kit. 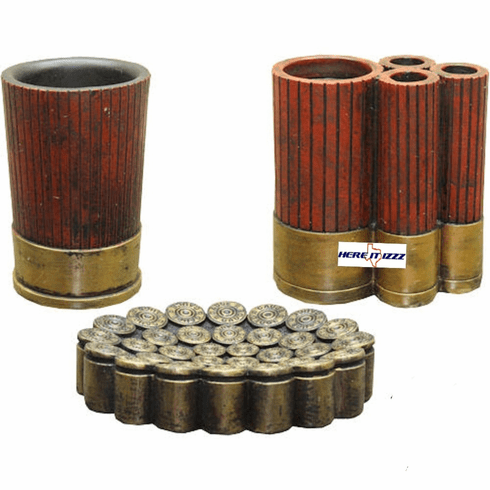 Realistic looking shotgun shells construct the pieces in this set. Shotgun shell bath set comes complete with a dish for bar soap, rinse cup and toothbrush holder. This is the basic set and is perfect for the hunting cabin or lake house.